Eurotask, a Tier 1 distributor for Guide,has announced the addition of its new Vanguard IR510 Range of Handheld Thermal Imagers. With the option of either a 160 × 120 or a 384 × 288 maintenance free detector, and either a 15mm or 19mm lens, the Vanguard incorporates the latest LCOS 320 × 240 display ensuring the user a very high quality image. This combined with the 50Hz refresh rate, a 3 colour pallet, video output and up to 10 hours continuous battery life from its internal, rechargeable Li-on battery makes the Vanguard a really feature rich device in this category. A 2x and 4X digital zoom feature is also included along with a standby power management feature for increasing battery life and ensuring a quick start. In addition to its performance, the Vanguard IR510 is the lightest handheld product in its class, weighing just 305g. It is very easy to use, with just 4 buttons to control brightness, contrast, pallet selection and power management. 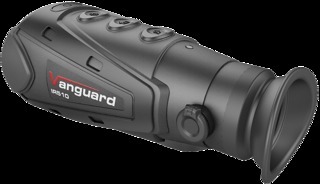 Ideal for use as a tool to aid night-time navigation, security, MOB and surveillance capability, the Guide Vanguard is rugged and durable and designed to meet IP67 standards. Complete with a manufacturer’s 3 year warranty, prices for the Guide IR IR510 start at just over €2,000 ex VAT (£1,800) and are available ex stock through Eurotask and their dealer network.